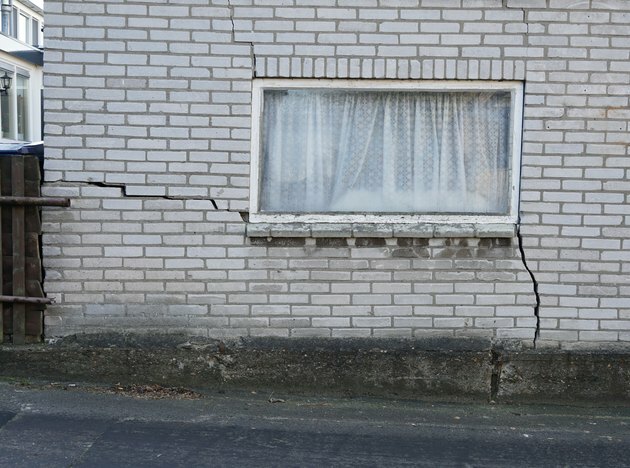 Damage to a home from earthquakes can range from obvious to barely detectable. While it's easy to see a leaning wall or a collapsed chimney, the most common signs of damage tend to be more subtle, such as cracks inside of a chimney or separated joints in exterior siding or roofing. Seemingly minor forms of earthquake damage can be just as serious as major issues, especially over time, so it is important to conduct a thorough inspection of your home after any earthquake has affected buildings in your area. If you detect signs of damage or you discover immediate hazards such as gas leaks, you should follow up with professional help right away. Even minor earthquakes can buckle masonry walls. Some exterior signs to look for, such as foundation cracks, require close-up inspection, while others, such as leaning walls or roofline problems, are best viewed at a distance, from the end of the property or across the street. Initial inspection of a roof often can be done from the ground, using binoculars. Look for new cracks or wide cracks (over 1/4 inch) in foundation walls. Shine a flashlight into large cracks; cracks that run all the way through a wall or expose reinforcing steel inside a wall are very serious. Check for shifting where exterior stairs meet the foundation. Inspect the joint where the house meets the foundation for shifting or misalignment. Check concrete block foundation walls for cracked blocks or separation between blocks and mortar. View the walls and roof from a distance to check for leaning or sagging or any assemblies seeming out of square, including window and door frames. Check for new cracks at all corners of the house and cracks radiating from the corners of doors and windows. Inspect clay, slate or concrete tile roofing for cracks and other damage. Look for separation of any exterior materials, such as siding, trim and roof flashing, as well as separation between rafter tails and wall trim. Inspect masonry siding (stucco, brick or stone veneer) for cracks, bulging or delamination. 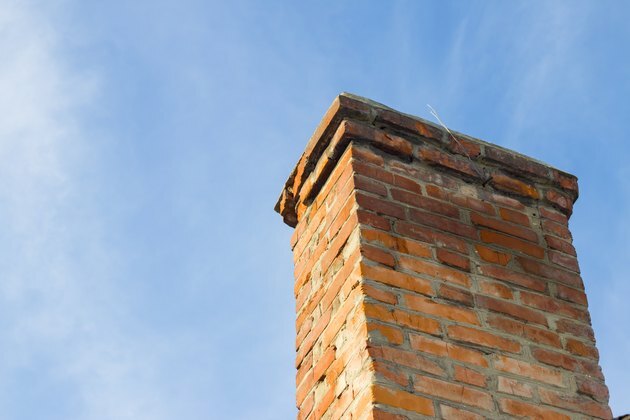 Inspect a masonry chimney from a distance for leaning or shifting. Check up close (or with binoculars) for cracked bricks or mortar or any separation from the roof, including gaps along flashing or sealant. Look for cracks in the clay flue liner. If anything has fallen from the chimney, check the surrounding roofing for visible damage. Look for depressions, sinkholes or fissures in the ground anywhere on the property but particularly near the house. Inspect decks, porches, stairs, walkways and driveways for signs of separation from the house or garage. Also look at overhead structures, such as patio covers, carport roofs and awnings. Check fences, retaining walls and other hardscaping for breaks, leaning, shifting or other signs of movement. If there is an active sprinkler system, look for indications of underground leakage. Check in-ground pools and spas, including their pump equipment, for signs of any damage. Chimneys are particularly vulnerable to earthquakes and should be inspected carefully. Inspecting interiors involves a careful walk-through to look at all surfaces and to check for anything that doesn't feel right, like unusual springiness in the floor or doors that have begun to stick. New cracks and other surface damage should be more obvious. Feel the floors underfoot for any lack of stiffness or abnormal softness. Walk stairs carefully to check for a change in stability, including feeling the handrail and its support posts for looseness. Check for gapping where the floors meet the walls and the top and bottom of all stairs, and check stairs for separation from adjacent walls. Look for separation in flooring at building transitions, such as split levels or doorways leading to room additions. Look for any new cracks in wall and ceiling finishes. Check for gaps along cabinets, trimwork and built-in features. Inspect drywall ceilings for patterns of nail pops; carefully check plaster ceilings for bulging or sagging, indicating significant breakage of the plaster's bond (and potential collapse). Check tile surfaces for cracks or loose tiles. Feel for drafts along exterior walls, indicating separation of building components. Look for signs of water damage on ceilings, indicating potential plumbing or building leaks. 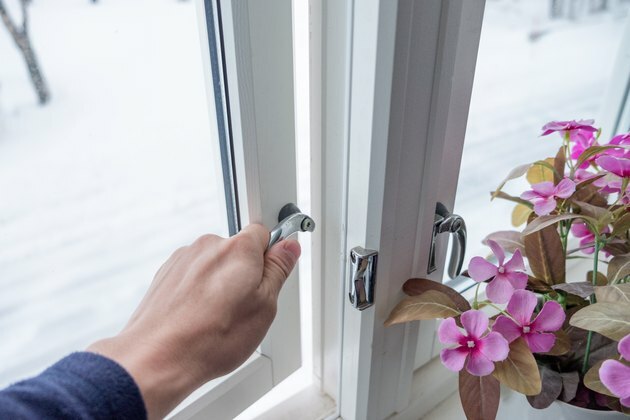 Open all windows and doors to see if they open with more than normal resistance. Look for cracked or missing glass. Check for unusual debris in the fireplace, such as grit, mortar or clay materials. If there is a fireplace insert or woodstove, look for signs of shifting between the insert and the masonry firebox, hearth or chimney. Inspect all masonry for cracks and for separation from surrounding wall and ceiling materials. Windows and doors the stick or won't open indicate openings or frames that are out of square. Unfinished basements, crawl spaces and attics provide a clear view of the home's skeletal structure as well as foundation walls and floor slabs. Look for cracks, leaning or other irregularities in floor joists—the parallel lumber boards that make up the platform of the home's first floor. Check the large beams that support the floor joists as well as the vertical columns or posts that support the beams. Look for out-of-plumb columns, beams leaning to one side of the ends of beams separating from pockets in foundation walls. Also, check for gaps between beams and joists or foundation walls. Inspect attic rafters or trusses for cracks, loose joints, leaning or shifting. Check for signs of movement or damage at the joints where rafters or trusses meet the exterior house walls. Inspect vertical mid-span rafter supports for leaning or twisting. Look for signs of moisture under the roof decking, indicating new leaks. Examine the interior side of foundation walls for new or wide cracks, as with the exterior inspection. Look carefully at the mud sills—the horizontal lumber boards running along the top of the foundation walls (between the foundation and the floor joists)—checking for misalignment or any signs of shifting. Inspect the concrete floor for new or enlarged cracks or cracks that with elevation differences, indicating settling or shifting. 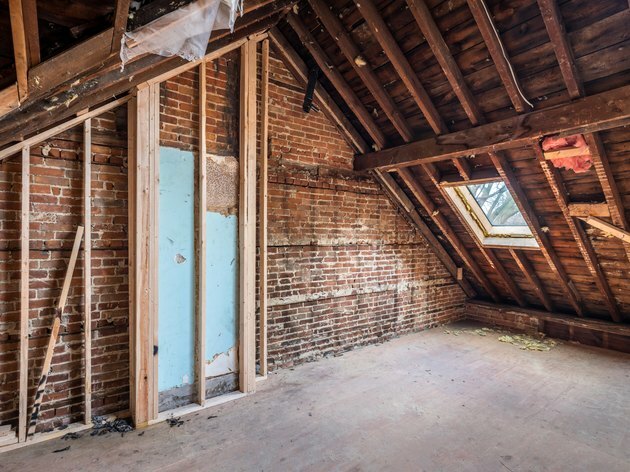 Unfinished attics can reveal various roof problems. During the interior walk-through and exterior inspection, look for any signs of change or unusual positioning in all plumbing, wiring and heating/cooling materials and equipment. Be on the lookout for leaking pipes (supply pipes or drain pipes) or signs of any water damage. Note slow drains or toilets flushing sluggishly, indicating possible damage to a main drain or sewer pipe. 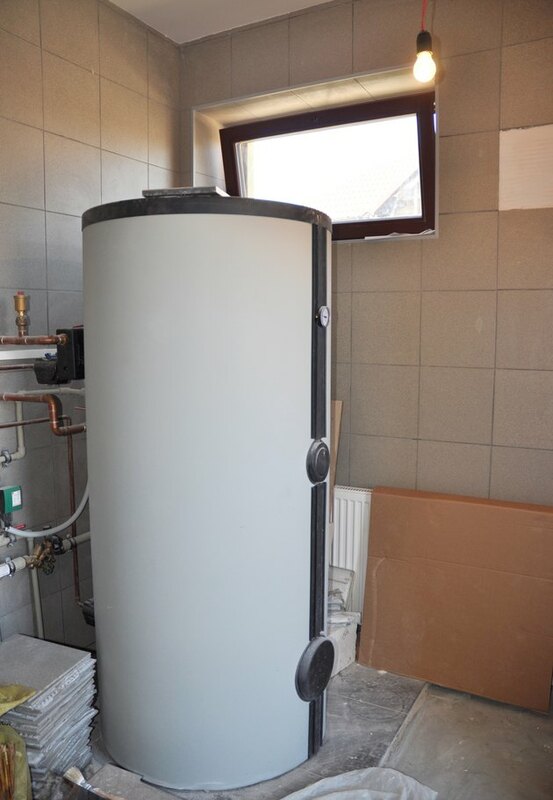 Inspect the hot water heater for leaning or shifting. Check pipe penetrations through walls and the roof for gaps around sealant or flashing. Note overhead service lines (from the utility's power pole to the house) for unusual sagging or other problems. Look for conduit (pipe) extending from the ground to check for leaning or shifting. Check all penetrations of wiring or conduit through walls for shifting, gapping or cracking. Inspect rooftop solar panels for loose mechanical connections or signs of shifting. Check ductwork for open joints or misalignment. Look for disconnected appliance flues (metal exhaust pipes or ducts) and intake and exhaust vents. Inspect outdoor air conditioner equipment for leaning or shifting, including the concrete pad and the lines going into the house wall. If there are heating/cooling units on the roof, check for any signs of displacement or damaged seals or flashing. Check fuel oil or propane tanks and all related connections for signs of movement or loose connections. Water heater tanks can shift easily if they are not anchored. If an earthquake occurs in your area, check with your city's office and local news sources to learn about public resources for help with earthquake inspection and damage mitigation. In many cases, residents are encouraged to contact the Federal Emergency Management Agency (FEMA) after an earthquake occurs. FEMA is a good source for general information and provides free home inspections for earthquake damage. The Consortium of Universities for Research of Earthquake Engineering (CUREE) publishes a comprehensive checklist for inspecting a building for earthquake damage. This document is written for building inspectors rather than homeowners, but it provides a detailed outline of where to check for potential damage in your home.